The excitement over the new Audi R8 LMX version is arguably tempered by the astounding $440,000 price tag in Australia, though in other countries the price may be less. In fact, there will only be 99 models built and they will not start rolling off the assembly lines until early 2015. In Australia, only three people will get to enjoy owning this remarkable vehicle which will be painted blue and offer a considerable number of features. However, this vehicle could essentially be described as a R8 V10 Plus version that was built to rival the BMW i8 which is already in production in Europe. The R8 LMX does have more power, a full high-speed aero kit and lighter seats overall than its BMW counterpart. 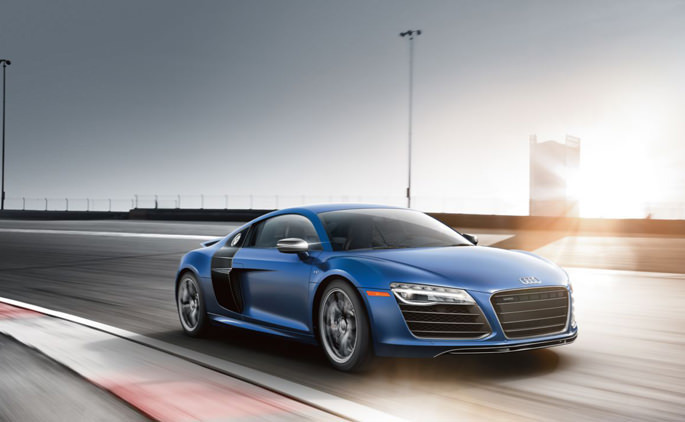 The R8 features a 5.2L all-alloy V10 with direct injection engine which translates to a top speed of 198 mph. 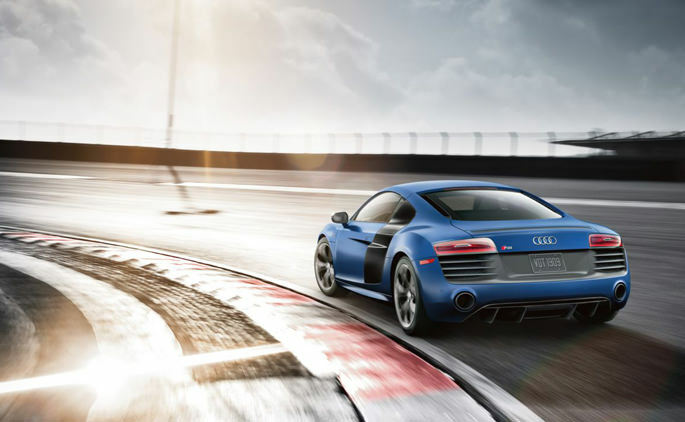 The R8 can go from 0 to 62 mph in a mere 3.4 seconds thanks to its all-wheel drive system along with seven speed dual clutch transmission. Carbon ceramic brakes are standard on this vehicle as well as offering a carbon fiber spoiler, aero “flicks” on the nose and a deep splitter as well. However, the news that has the most people talking is the laser light headlights that uses new technology for an unparalleled view of the road ahead. A combination of low and high beam headlights, this laser light system can illuminate up to 650 yards ahead in clear conditions. Drivers can choose manually either low or high beams and the laser light system is tied directly into the vehicle’s camera-based auto lighting system so that oncoming cars and pedestrians are not blinded by the intense laser light beams. This is augmented by the fact that the lasers themselves do no operate at speeds below 37 mph. Basically, the laser light system offers three times the normal range of LED headlights for illumination which means that at high speeds any obstacles are seen at a much further distance providing more time for the driver to react. However, this will be the final year of the Audi R8 as Audi plans to replace this vehicle with a more advanced version that will be demonstrated at the Paris Motor Show in October, 2015. In addition, ScopioneUSA also offers carbon fiber motorcycle parts and bike accessories for your two-wheel vehicle as well. You can find a wide number of aftermarket parts such as side covers, protections, the panel, clutch and various mods to fit your motorcycle.